A wonderful ballet of reds, blues, and greens choreograph the rich colors we experience in both our natural and built environments. This art of color recognition is founded in neuroscience. The average human eye contains three cone cells embedded within the retina. These cones register light at different wavelengths, which transmit data to the brain. Here they combine, resulting in the phenomenon we know as color. The human eye can register millions of colors, which makes the world a delightful playground for artists and colorists like us. But what if we are limited by our three cones and the world is actually more colorful than we know? 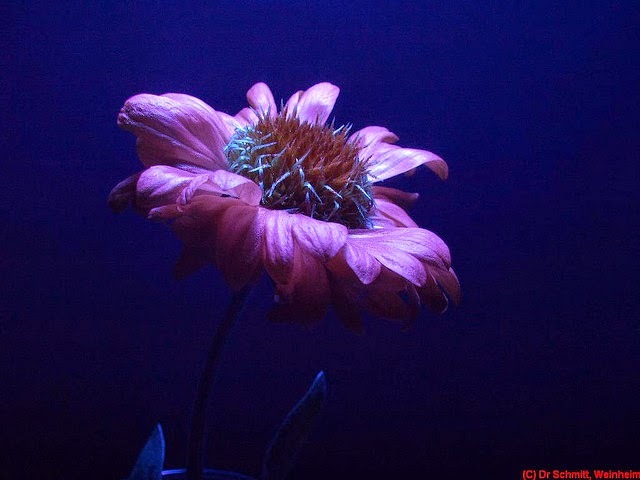 Image of a gailardia flower in simulated tetrachromatic vision. Image courtesy of Dr. Klaus Schmitt. A rare condition known as tetrachromacy has proven that the millions of colors the average human eye can see is just the tip of the rainbow. A mutation found in almost 12% of women, tetrachromacy is the condition of possessing an additional cone in the retina, which is more sensitive to the color scale between red and green. 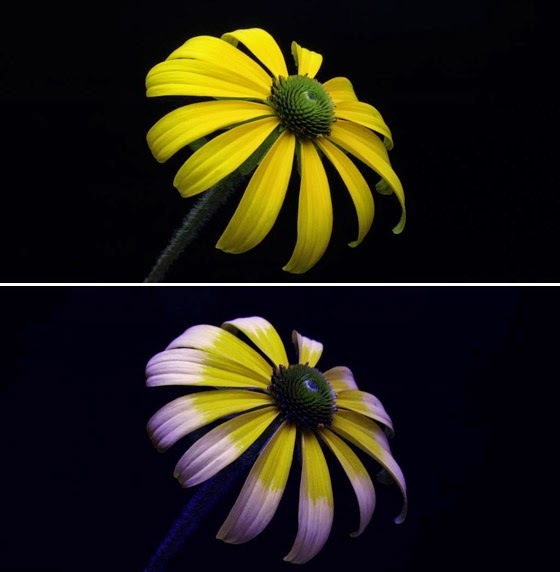 This allows them to see up to 100 times as many colors as a the rest of us who only possess three cones. Recent research has shown that these women tend to excel in the fields of design and visual arts. Color is extremely personal. There is no way to know if the shade of green one person sees is exactly the same as what another sees. http://www.bbc.com/future/story/20120209-do-we-all-see-the-same-colours. For this reason, tetrachromats have difficulty explaining how the colors they see differ from the color trichromats (people with three-cones) see. However, artist Concetta Antico, who genetically tests positive and is a research subject for tetrachromacy, is making strides in this area. Her vibrant paintings depict prismatic scenes where light and color form dynamic illustrations of everyday objects. 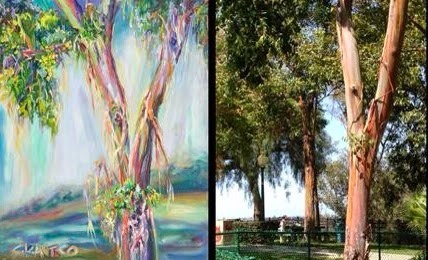 Painting of a Eucalyptus by Concetta Antico with image of the original scene. Even with three cones, the eye sometimes needs to be trained to see the full spectrum of colors. The same applies to women with tetrachromacy. Not all cases of the mutation allow the subject to experience this "super human vision". However, some scientists believe that the women who possess the ability to function tetrachromatically may be ahead of human evolution. One day, maybe all of us will be able to live in a colorful tetrachrome world.